All of us at the university decided that we wanted to learn more about birds, bird watching and bird photography! We found two lovely people on Twitter who know quite a bit about all of things and they were nice enough to do an interview with us and share their amazing photos! The best part about Curtis & Norma is that they are from our home state of Georgia! 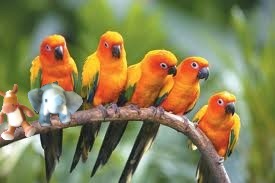 Let’s all learn about how to find some of our feathery friends! E & E: Tell us a little bit about yourself. Curtis & Norma: We are writers and photographers who live in a rural area in Georgia where they enjoy photographing birds, nature and landscapes. E & E: Excellent! How long have you been bird watching and taking bird photos? Curtis & Norma: Our bird photography started accidentally over three years ago when Curtis photographed a Yellow-Bellied Sapsucker drilling holes into a pecan tree in our front yard. We have both enjoyed nature photography for many years; however, our bird photography became more serious over a year ago when we participated in Cornell University’s 2012 Backyard Bird Count. We went to Lowe’s and bought some bird feeders and bird seed, and then placed the feeders in our trees near our kitchen window. We were amazed at the different species of birds that came to the feeders. E & E: We’ve heard doing the Backyard Bird count is fun! When did your love of birds begin? Curtis & Norma: We have always loved nature and enjoyed photographing coastal scenes and shore birds, but we really became more serious about bird photography during the 2012 Cornell University Backyard Bird Count. E & E: Great! We love birds, but are complete novices when it comes to bird watching. Where should we get started? Curtis & Norma: It always helps to purchase a bird identification book so that you can identify the different species of birds who visit the feeders. Also, visit places like Lowe’s, Walmart or Wild Birds Unlimited to see the many different bird feeders and bird seed. Keep it simple. One open bird feeder and a small bag of mixed seed featuring black oil sunflower, white millet and safflower will produce exciting results. Be patient…… because sometimes it takes up to two weeks for birds to find the feeders. E & E: Those are some great tips! What guides do you recommend for first time bird watchers? Curtis & Norma: Some of the following books are written for Georgia residents, but they are excellent guides for learning about birds in the South. E & E: We’ll be hitting up the bookstore! Our HQs is a condo so we can’t have bird feeders. What is another good way to find birds? 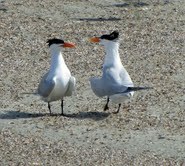 Curtis & Norma: We always love to go to the beach to see the many shore birds, such as Ring-Billed Gulls, Laughing Gulls, Brown Pelicans, Boat-Tailed Grackles and many more. There are always many fascinating shore birds near a coastal area. Plus, anywhere near a lake or a pond usually has beautiful birds. 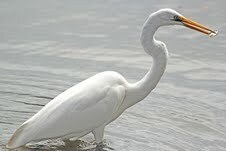 At local ponds, many times you will see Canadian Geese, Mallards, Great Egrets and Great Blue Herons. If you live near a state park or a wildlife management area, you will also see birds, squirrels and deer. A state park is a great place to see nature and wildlife, and especially birds. Georgia has many wonderful state parks and wildlife management areas. The National Wildlife Refuge System also provides an opportunity to see many species of birds. Here are links to Georgia State Parks, Georgia Wildlife Management Areas and the National Wildlife Refuge System. E & E: Those are some great places to check out! Luckily we have a pond across the street from us! Tell us some great ways to attract birds to your yard? Curtis & Norma: A very popular way to attract birds to your yard is to have a birdbath. The birdbath should never be over two inches deep so that the birds will not drown. Birds love a birdbath. They need to drink water and they also enjoy taking a long bath, especially the Eastern Bluebirds. Another way to attract birds is to hang bird feeders on a tree and place bird seed in the feeder. The most popular seeds for songbirds are: black oil sunflower, white millet, safflower and unsalted peanuts. It’s best to not feed red millet because most birds do not like red millet or red milo. American Goldfinches and Pine Siskins enjoy thistle seed. They especially enjoy the thistle socks. Woodpeckers enjoy the suets and the woodpecker treats that are available in places like Lowe’s or Walmart. Blue Jays and Red-Bellied Woodpeckers enjoy unsalted peanuts and are famous for coming to the feeders, grabbing peanuts and storing them for the winter. It is very entertaining to watch them. The unsalted peanuts will need to be cut into smaller pieces. E & E: We had no idea there were so many kinds of birds seed! What are some good basic tips for first time bird photographers? Curtis & Norma: When attempting to photograph a bird outside and not through a window, always be very still. Birds notice the slightest movement and will fly away if they see you move. 2. Try to photograph when the sun is not too harsh because very bright sunlight can cause a picture to look really fuzzy or unclear. 3. 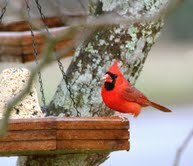 If your birdbath or bird feeders are outside your kitchen or living room window, you can still get great pictures. Have plenty of their favorite seeds in the feeders and be sure that your birdbath has fresh water. Then, clean your windows inside and out with White Distilled Vinegar. This is the best product to use to guard against spots and streaks. 4. Birds seem to be very active during migration and during cool, rainy days. Northern Flickers, Pileated Woodpeckers, Red-Bellied Woodpeckers, Red-Winged Blackbirds, American Robins and Common Grackles are very active on rainy or overcast days. Sometimes you can get some nice pictures on a cloudy day. 5. To get really good close-up photos, we use a Canon EF 70 – 300mm f/4-5.6 IS USM Lens. We photograph in the backyard, through the kitchen window, in a pecan orchard, near cotton fields, at state parks, wildlife management areas, ponds, lakes and at the beach. E & E: WOW! We will be taking our camera out this spring! What kind of habitats are good for finding migratory birds? Curtis & Norma: Actually, your backyard can be a great place to bird watch during Spring Migration. Plus, birds are always active near lakes, ponds, rivers or the ocean. A body of water attracts many species of birds. Another area where birds are usually abundant are rural, wooded areas. 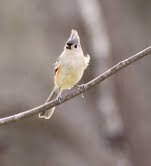 Birds enjoy the space of a rural area and they enjoy the pine trees and pecan trees. Pecan orchards attract many woodpeckers and warblers. We have so many places to go explore and see if we can find birds! Thank you so much for taking the time to answer our questions! 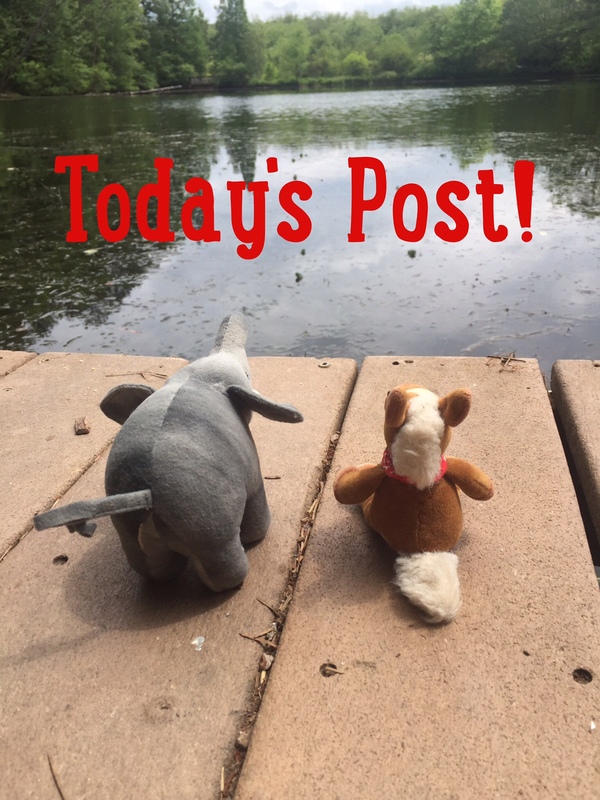 We hope our readers will be as inspired as we are to go out and meet some bird friends! Milo and Otis LOVE bird watching! We have lots of cute little birds that hang out on our front porch in front of the big window. Our neighbor has one house on their front porch and we put out feed every so often. I just received a hand made bird house from my co-worker for Christmas. I will have to post a photo of it for you. Our birdbath has never attracted birds – we have tried for 5 years. They love the food but not the bath. I loved this interview. Lots of great information. Oh and I own The Sibley Guide to Birds – David Allen Sibley most for the name 😉 but it is an excellent source of bird info! Bird watching is the best! We would love to become master birders!